Home » Featured » Arizona Gun Control Rights… Do you know them? President Obama recently stated the United States is in an “epidemic of gun violence,” at a White House proposal meeting regarding gun control. 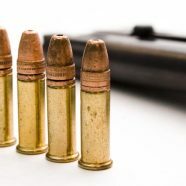 Many Americans who have been convicted of crimes are concerned about the possibility of losing Second Amendment rights due to the President’s proposal. President Obama’s proposed legislation arises in response to incidents such as the Sandy Hook Elementary shooting in Newtown, Connecticut, as well as other shootings associated with the mishandling of firearm use and accessibility. The President’s proposal is a reaction to strengthening “local laws, gun crime laws, state laws and federal laws… holding people accountable who have committed crimes,” stated fellow Republican sheriff from Washington, Dave Reichert. Although the President’s proposed legislation provides the regulated, enforced, and strictly monitored use and accessibility of firearms to benefit our society, the initiative may also cause distress for Americans who carry the burden of a criminal background and are attempting to acquire and maintain firearms. It is critical, at a time like this, to evaluate what your background check states about your criminal record, as well as find out your Second Amendment rights. Higbee & Associates’ RecordGone.Com provides a variety of services in 14 states to assist in clearing criminal records, as well as restoring firearm rights. Based on the evaluation of your criminal background check, you may or may not be eligible to legally acquire and retain a firearm. Find out about the potential benefits of clearing your criminal record to maintain your firearm during this period of legislative turn with Higbee & Associates. For more information regarding your eligibility for expungement services, please visit RecordGone.com or call toll free today at 877-573-7273.